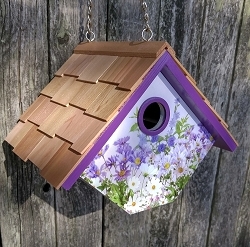 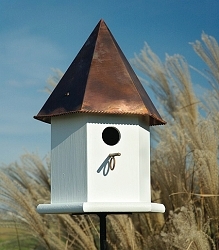 Cypress Shingle Roof 12" Dovecote Birdhouse - Measures 28" high x 12" wide, hexagon shaped, PVC construction, 3 large nesting compartments with 1-1/2" openings for attracting bluebirds, wrens, chickadees, titmice, nuthatches and other small songbirds, 3 perches or copper portals, brackets attached, removable cypress shingle roof for easy cleaning, fits on 4" x 4" vinyl sleeve post which fits over 3 1/2" x 3 1/2" pressure treated wood post. 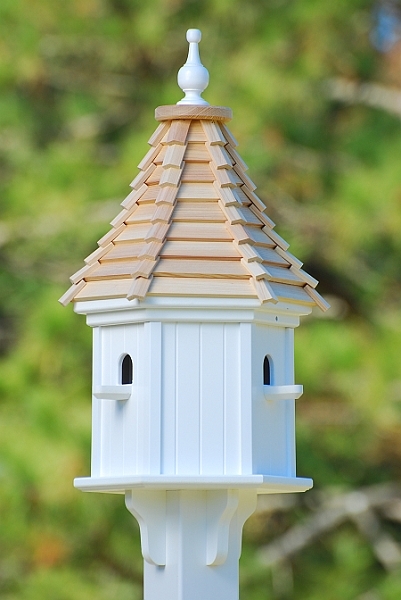 The Hexagon shaped 12" Dovecote Birdhouses are available in a variety of roof, portal and perch designs. 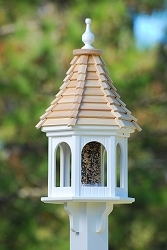 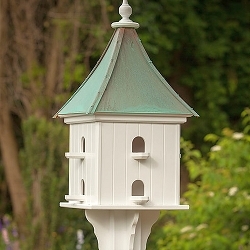 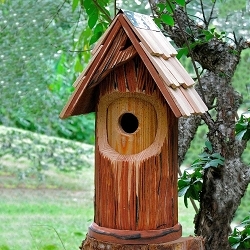 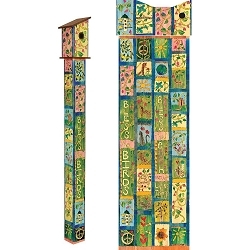 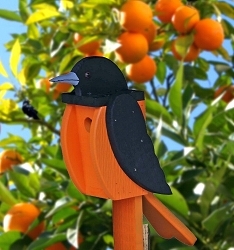 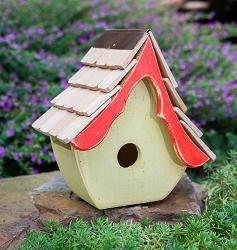 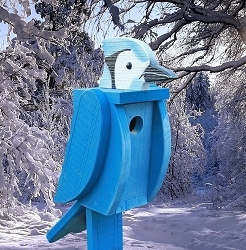 We also offer gazebo, square and other bird feeders that compliment our birdhouses.